For nearly 130 years, Bosch products have stood for uncompromising quality, technical perfection and absolute reliability. Even today Bosch sets the standard for our customers, and our showrooms. Just ask one of our appliance experts to show you why, and let the excitement in their voice say it all. As one of the highest volume Bosch dealers in the country, we not only know the product inside and out - we've got exclusive offers and products you won't find anywhere else. When planning your remodel, think ahead to evolutions in style and how it will interact with your kitchen. The timeless design of Bosch appliances act as an elegant canvas for seasonal changes in décor, and will complement any home seamlessly. Available in Stainless Steel & Black Stainless Steel, a Bosch kitchen is an enduring style decision you'll appreciate for years to come. Visit one of our six Bay Area locations to see for yourself. With Bosch built-in Wall Ovens and Cooktops, your kitchen is not only sleek and stylish, it's built to meet the demands of even professional chefs. 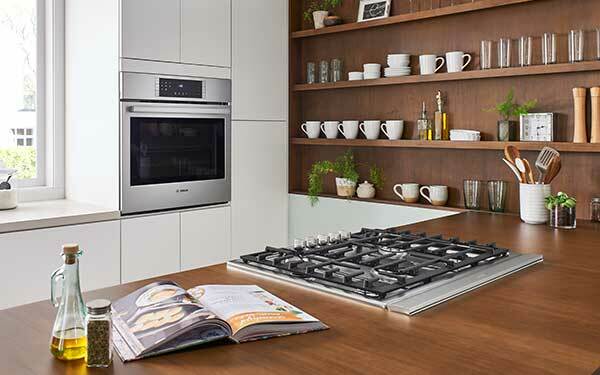 The cooktops are engineered to perform precisely - from consistent and even cooking results in their Gas cooktops, to versatile induction cooking with responsive heat zones. Their wide selection of wall ovens includes the steam oven, which has proven popular with our customers looking for healthier cooking alternatives. Our Bay Area customers love Bosch Dishwashers. In fact, they're so popular we carry an EXCLUSIVE model you won't find anywhere else in California. This exclusive model features enhanced EasyGlide racks and special FlexSpace PLUS fold down tines. 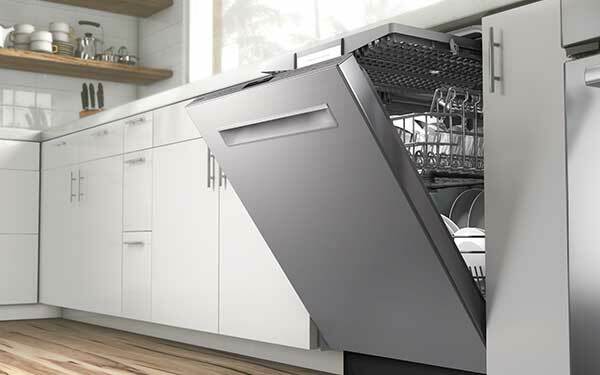 With ultra quiet performance rated at 44dBA and impeccable cleaning results, it's no surprise to our team why these dishwashers are in such demand. For more on our exclusive model, click here. 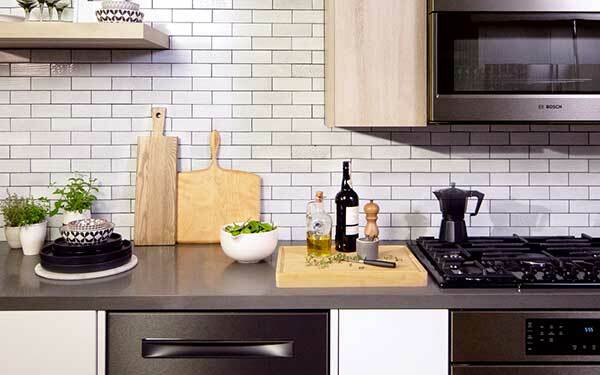 Remodel your kitchen for less, and save up to 15% on a new Bosch Benchmark kitchen package. Plus, ask an associate about exclusive mail in rebates! Valid 1/1/19 - 6/30/19. I like to compare Bosch with building blocks because their brand has a wide range of sizes and features which gives you the ability to piece different products together. 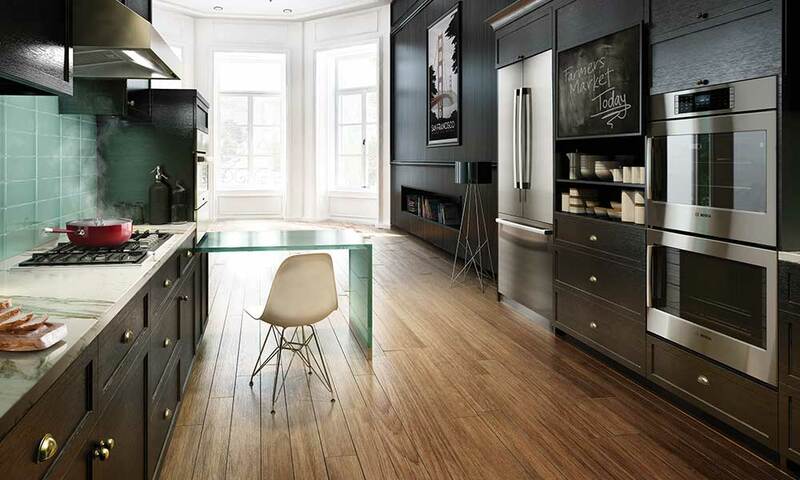 It gives you the flexibility to construct the kitchen you want.